The race resumes as it left off with a summit finish. The altitude of 565m looks modest but Peña Cabarga is where Chris Froome burst onto the scene as a grand tour contender with his first pro win. The Route: 160km east along the coast… until Peña Cabarga, literally “Cabarga Rock” but if it wasn’t for that pesky virgulilla on the ñ of Peña then Pena Cabarga would do fine too, “Cabarga Pain”. A rock will do nicely though, it’s a large mountain that hangs over the city of the Santander, a bonsai Mont Ventoux with its giant aerial at the top and the wide road. As the graphic shows it’s 5.6km at 9.8% but with 18% near the top and regular double-digit gradients. There’s a rest section at La Ida halfway up but only to make matters harder as it breaks they rhythm. This is no goat path, it’s all on a regular, wide road with a good surface. The Contenders: Chris Froome has won here before so why not again? He’s racing in a confounding style by trying to pace himself up the climb rather than worrying about the stops, starts and surges of his rivals. It’s a clever strategy but risky, especially as it means he can’t mark his rivals, or rather his rival Nairo Quintana. The Colombian is proving to be the best climber in the race, versatile on long mountain passes and shorter efforts alike. The stage begins outside a dinosaur museum so what better tribute to veteran rider Alejandro Valverde? Jokes aside the Murcian is going well and a contender. Alberto Contador should be on the mend from his crash injuries so could feature too while it’s D-day for Esteban Chaves, already over two minutes down and a minute off the podium but this shorter climb could suit him. Gianluca Brambilla is going very well too on these short climbs, a contender today and for his Tour of Lombardy too. Weather: sunny and a top temperature of 23°C. You’ve posted this as stage 10 instead of 11. I don’t know how many riders are left in the race but if there’s 185 left 175 of them might as well sack it off and go to the beach as every stage is coming down to the same 10 or so riders. If that. Do we really need another ‘wall’ finish? How about something for the punchers and classics specialists, maybe even the sprinters. Remember that stage Tony Martin nearly won a couple of years ago? That was flat but people still talk about it. Not every stage has to finish with the riders winching themselves up a cliff for it to be entertaining. Quite the opposite in fact. Well people still talk about that because it *never* happens on flat sprinter stages. I tend to agree with you on this. Initially in was excited about all the uphill finishes, but now half way through the race I’m bored. These stages are a procession to the final climb where everyone is in their private TT against gravity. bored? ?… Stage 10 was an absolute belter, surely? Stage 10 had a great final half an hour, and that’s more than enough for me, indeed. Yet, the rest of the stages so far was worth more or less nothing. The only other relevant moment offered about 5 minutes of interest. I struggle to remember so dull a race. Oh, no wait, there’s the 2016 Tour de France. Well, in fact I already *struggle to remember* that… not exactly memorable (although one might argue that it was unforgettably forgettable). However, there’s still room to have a good edition, or at least better than last year’s, or this year’s TdF (which may be deemed already a step below, thanks to the Lagos – but that sad French salad had at least better dressing throughout the non-GC stages). The problem is that most stages don’t offer the slightest chance to build up significant racing. What can you devise with a more or less flat run-in and a final effort which barely lasts some 10′-15′? I’m quite liking this Vuelta. Rather the steep finishes of the Vuelta than the boring sprint stages of the Tour. Nothing happening of interest until the last 350m. I’m afraid I disagree profoundly. I think it’s been a cracker so far, with the lead changing places and interesting riding / different tactics from the leaders. I don’t think 175 riders should jack it in, and I could see a breakaway winning, and or any of the main contenders. Quintana should be favourite given then rest day yesterday presumably recharged his batteries, but the race and parcours has been very good so far I think. Anyway, just my opinion and clearly we’re all entitled to one even if we disagree! “Recharged his batteries”? Apparently, who recharged the most were those who most needed it in this phase, Froome – and König, too. Is it possible that you just don’t enjoy stage races that much? For me part of the joy of watching cycling is the slow pace of action, the long build to a climb or sprint. Sure this years Yellow jersy felt wrapped up pretty early and saw no real challenge, but clearly Froome was the strongest in every sense, so the right person won. It’s sports not soap operas. I’d hate to see more “action” artificially injected into a race. For those who sit watching races in their wool jerseys with a baguette stuffed up the back and some tyres over their shoulder, proper old school fans, this is apparently not enough. But I’m with you. Besides, riders make the race regardless of parcours. That profile looks uninspiring, the bonus I guess is 3hrs of fast forwarding then 20 minutes of action (hopefully). For a Wednesday I guess this is ok. I think it could herald another interesting breakaway battle. A large group could go and why would Movistar kill themselves for what will be, ultimately, only seconds gain at the end? Interesting therefore which tune the Movistar team may be riding to today. Quintana’s GC not *that* affected. A chance of a stage win for Valverde and move up to 2nd on GC? Maybe Movistar will let this one go. Another wildcard breakaway winner then, for me. A stage I would like to see from start to finish. come on Alberto… another post restday mugging please! I don’t think this course allows anything like that. Tinkof are up to something – can’t really see the point of it with 15k to go, but here’s hoping…. Very odd that Tinkoff should go to all that effort. What’s Spanish for “my enemy’s enemy..”? Do you think that Contador really prefers Froome over Quintana (obviously, riding over 45 km/h on a rolling and curvy but mostly flat terrain is going to hurt Quintana)? Maybe. But I wouldn’t go that far. They just had a generic try, IMHO. Like, “let’s see if anything happens”. I was thinking the other way round G.
Not all, these days. You can check the attitude of Valverde, Purito and Contador on Covadonga the last couple of times they went up there before this year. They don’t have that much love flowing among them. I remember that – Contador, Valverde and Rodriguez definitely didn’t appear too friendly. You may be right G.
But Contador played the role of catalyst again, and that is something we all should be grateful for. Lots of talk about The Green Bullet, a guy who raced in Rio if I’m not mistaken? Meanwhile too many headlines go on about poor Chris Froome battling against his “fresher” rivals as if Froome was the only Vuelta contender to make a trip to the Olympic Games. Exactly, and as if the Olympics would really take that much out of Froome et al. What are the other riders doing? Sitting on the couch? Nope, they were out racing hard. The real thing that would make riders unfresh was the TdF, and there are plenty of GC men (and others) who rode the Tour before the Vuelta. So Froome really has no disadvantage over most of his rivals on this front. * sorry the other riders were out “training hard” not “racing hard” in lieu of the Olympics. I like the MTN finishes more than the sprints but they’re all important. Exciting to Me so far. …People are going to complain no matter what type of stages there are… Too many Mtn top finishes, too many sprint finishes… -I complain where there are not enough Mtn top finishes; so today I’m happy. Val and Quin’s call during the rest day, to eliminate radios, would help make races more unpredictable and I’d like that aspect. I don’t care for seeing racers talking on radios while racing, would rather they make decisions off the cuff. Risks, uncertainty and vulnerability exposed. I don’t know about “people”, but personally I’m going to complain about poor racing (little action, and short in duration) – I’m not going to complain “no matter what”. Cycling is great and we had some great races this year, and the year before, too, and the one before that. But when we’ve got under par cycling, I can’t see the point in shutting up. “The riders make the race” (yeaaaah! ), still it’s clear that the course doesn’t help or sometimes doesn’t even *allow* great racing in some recent Vueltas – a race I used to love. I’m still hopeful for the second half of this year’s race, but we really had *one* good stage so far. Most of all, it looks like you miss a quite crucial point: it’s not about the *finish*, most of the times it’s about the rest of the stage. Quintana gifted Froome 10sec ffs. An alternate view is that Froome beat him. Take your pick. Now that’s what I call a bike race! Was Froome looking at his power meter on the way up? Nope. Just going toe to toe like the “true fans” say they want him to. Well he did and he won. Nothing major at this point, of course, except the psychological blow of telling Quintana that he is very much here to win. Aubisque is going to be amazing on Saturday and this race is going all the way! Come on, nobody needs to look at a powermeter when the top effort lasts less than five minutes. Or, better said, less than three. They waited for the very last km. Quintana’s fault, obviously, and Movistar’s. Perhaps they simply don’t have the needed firepower to make a true climb out of Peña Cabarga: the rhythm has been way too low until the flamme rouge. OTOH, Dani Moreno hasn’t been used and Valverde’s presence on the front wasn’t enough to prevent him from grabbing the third place on the line, which means he wasn’t going all out. BTW, Froome just said about the possibility of taking away powermeters from the race: “why not? [ironic] Then let’s go back to single-speed bikes”. 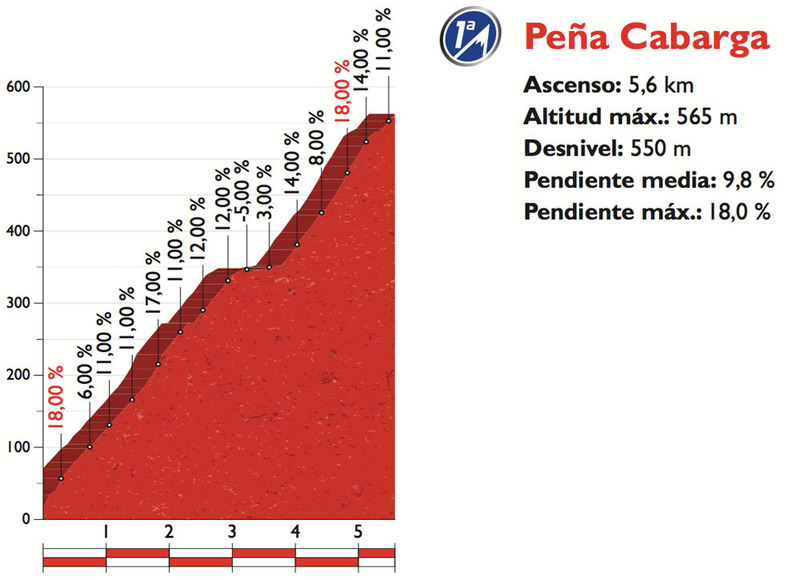 Pena Carbarga is a 17 minute climb not 5 minutes Gabriele. Not that I ever expect you to give Froome credit for anything. For some there are always extenuating circumstances where he is concerned. I just note that he seems far from dead in this race. Indeed, the Eurosport interviewer just described Froome as the cat and Quintana as the mouse. That sounds about right to me. Agreed with everything, except that – as you might know – what’s relevant is the time spent in a given effort zone. Which means that when you’re riding the climb “slowly” (for the world’s top-class climbers), it’s not very different from riding on the flat. It’s about your heartbeat, lactate and so on – not the gradient in itself. Have a look at how many riders, and of what level, were still up there before the final burst. And you’re dead wrong about my attitude towards Froome (perhaps you might already know that, too): I gave credit to Froomey for his TdF. As I said, it was a ugly race generally speaking, but Froome was among the best thing you could see in that race. Besides, I haven’t anything bad to say about Froome’s race, today: I’ve got a bit more troubles with his declarations. He can declare whatever, obviously, but he left me with the impression that he feels that the powermeter is as important for him as shifting. Something I wouldn’t appreciate in any rider. Did they ride it “slowly”? A guy I follow who times all the climbs claims Froome and Quintana just climbed it a few seconds over 17 minutes making it one of the fastest ascents of that climb but about 17 seconds short of Horner’s record. Yet, to hear you talk, they will merely rolling up. Someone must be wrong. Maybe a little less rhetoric would be good all round? “One of the fastest”, yeaaah, and how many recorded climbs up Peña Cabarga are there in that sample, given that the climb hasn’t got much history? Would you provide the list? And, maybe, you’re referring to the same guy who titled the post on his blog with his measurings “No full-gas on Peña Cabarga”? Who else could he be? Would you please give a reference? And – who knows? – maybe you didn’t *really* get the difference between the way they rode the first 4.5 kms and the last 1500 mts.? The final km was indeed fast (perhaps I’ll try to get exact the figures tomorrow), which impliess that the rest wasn’t so much. Sure the climb wasn’t slow for anyone (hence my parenthesis above), but for the best – those who handed out something like a minute of difference in one km to the rest of guys who were in the same group with them until the flamme rouge – climbing at a rhythm which other 15-20 people can sustain isn’t fast. Don’t know about rhetoric, but a little more intellectual honesty would be great. Full stop for me. Happy to give my reference. Its a Finnish cycling fan on Twitter called @ammattipyoraily who posts times for most climbs and keeps historical records as a reference point. This is how I know the record for the climb is Horner’s 16:44. He quotes power figures too and often references a countryman of yours, a certain Dr Ferrari. I’ve found him a knowledgeable account to follow and if he says Froome and Quintana climbed Pena Cabarga today basically as fast as most have ever done then that’s good enough for me. You are of course free to believe it was slow Gabriele. I understand that purists aren’t a fan of numbers. Froome won in 17:15 in 2011 so is 13 seconds faster this time around. Or “slower” if you’re Gabriele! Peña Cabarga has been climbed five times in the Vuelta. One some forty years ago and I think there’s no recorded time. What about the other two occasions in which they climbed it? I ask because Froome’s 2011 time you use as a reference is the *slowest* recorded time. Curious, since you deemed this year’s ascent as “one of the fastest”, that you choose to match it with the slowest we’ve got. It’s not about comparing it with slower riders on the day, it’s about comparing it with other winning performances from the past. And that’s without even starting to split the climb in segments. Apologise due. Because of the piled-up comments I jumped over your reference to Horner’s exact time and wrongly said that you didn’t match today’s time with anything else than the worst recorded one. Sorry. Besides, I know that account and it’s trustworthy, indeed. However, that places today’s performance in the central part of a very small sample of four recorded ascents, on the same level of Purito’s (17:01), behind Horner, only better than Froome himself. That said, my point has nothing to do with the whole climbing time. Nor with the historical comparisons (I think that in other occasions the same pattern was followed). I just think that they were climbing strongly only the last km or so. For now, it’s just an impression. As soon as I’ll have the stage video available, I’ll see if the figures confirm that or not. That was meant to see if they were riding hard for 17′ or for 4′. We’ll see. There’s knowledge in Gabriele. There’s plenty of other things too. If you disagree with him then just wait for your integrity to be impugned. Just wait for the references to “real” cycling fans. He’s one, naturally, but those who disagree with him aren’t. He asks for “intellectual honesty” from RonDe. That’s out of order. Gabriele, pot, kettle. I followed this blog for a while now and I think I have a handle on where Gabriele is coming from. Best taken with a spoonful of sugar on occasion as with many of us. That Froome reaction is both typical and ridiculous. Another pro reacted to me once “yeah, and let’s go back to tubulars across our shoulders”… Of course they are intelligent enough to understand that it’s about judging every element of the equipment on its own importance and positive or negative effects on the race. But they just snub away the discussion, insulting our intelligence. Sean Kelly in the Eurosport commentary was in favour of power meters. Does he insult your intelligence too? Power meter display plays apart on Froome’s recover on stage 10, but only a small part. Assuming the display does play a part in his recovery and he couldn’t make a come back without it, let’s say we did ban power meter in this Vuelta and Froome couldn’t make his recovery. The question then is, would this make the race more or less exciting? If that is indeed what happened, Quintana would have taken at the very least 40 seconds out of everybody else. If it was Froome doing that in the tour, we’d all be crying boring. Bottom line is, each rider has their different approach to a climb and it is this variety that makes a race exciting. Artificially limiting numbers of approaches riders can take would only hurt the sport. +1. The fact that Froome is perceived to be a robot programmed by Sir Dave Brailsford with the numbers to hit at points along the course (which I personally believe is false), if true, is only adding to the drama and spectacle of this particular race. If he had not been able to gauge he efforts on Covadonga maybe he loses 1 minute and not 25 seconds (to become 31 with bonuses accounted for) and we have much less of a race. Is that what people want because all I hear is purists telling me they want a proper close race for a change. Well you are getting one so please try to enjoy it and don’t always find reasons to be negative about it! You can be in favour of any specific technological piece of equipment, but you can’t say that questioning that specific piece is the same as discussing all the elements of the equipment back to the XIXth century. That is what insults intelligence. Nice race. I thought Froome, Quintana and Chaves really tried to make the race. I find it comical that folks are complaining that after 11 stages of a grand tour, that the racers are human. I think the technology is here to stay. For those that can’t make many short bursts it is likely a disadvantage. For many, the technology is an equalizer as low budget riders/teams – can be much closer to terms with the advanced ideas. Thus the spread between the riders has decreased, and team management are now more careful about the breaks, and the pacing. A relevant question, is what would could substantially increase viewership. Your defense of careful breakaway control and pacing is a defense of boring, unmemorable races. I underline “memorable”. It’s not so much about increasing viewership, it’s about increasing the legend and the depth of the thrill. You can know you’re doing 400 watts but you still have to ‘feel’ whether you can maintain it for the next ten minutes on a given day. Not sure there is any need to take it so personally. It is only the Reductio ad absurdum argument. Cycling has always been about the technology. If you take away Power Meters then what next? Anything can be perceived more or less to give some sort of advantage; HRM, Skinsuits, Carbon Frames. Etc etc Where do you draw the line? Debates aside, what we should acknowledge is that our host produced an amusing and 99.9% accurate prediction to the day’s play. 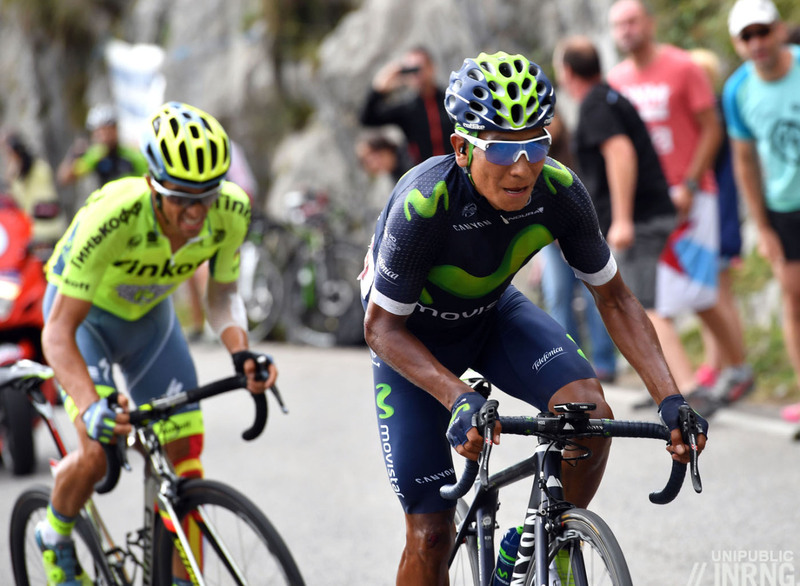 Good stage, beautiful scenery, fantastic roads and I thought Quintana looked good in the red jersey. How’s that for a technical analysis! Kids oh kids, enough with the badgering of each other. Does it not boil down to who is the first to the top of the hill? Le Tour clearly needs to hire some Spanish cops for next year. They were policing the crowd Hard on the final climb. Yep. The one an only thing Franco’s Guardia Civil should be used to. They are great cycling crowd controllers. They look totally hard as nails in the berets and aviators. I wouldn’t mess with them. I think Sir Dave said to Richard Moore something along the lines of “…some riders know how to use power meters and some don’t…” after Stage 11. PMs are here to stay, learn to use or lose, simples. I usually find the Vuelta the most entertaining GT of the year, although the Giro this year was a cracker. Lots of breakaways HAVE won stages of this Vuelta, so I don’t get how anyone can complain about that. What made the Tour this year quite dull was the lack of battles among GC guys. Thanks to its stage design, the Vuelta guarantees that each year and this is what makes it so good to watch for me. I checked out the partial times. As I expected, this year’s last km was the fastest ever recorded, even if only slightly when compared to Purito’s. People who think they’re good with maths can calculate if the previous part of the climb was “slower” or “faster” this year. Since I watched it again, I can provide a more detailed analysis, even if not yet supported by numbers (I can work them out, if needed, but I’m confident about what happened). Movistar rode fast the first km of the climb out of pure impulse and freshness, then the turns of Rojas and Castroviejo allowed the rest to take a breath during the second km, more or less (you see the group isn’t as strung, somebody even comes up the front from the back). When Rubén Fernández showed up, he did a fine job until the halfway point of the climb, but then nobody took over and the pace remained way too low. All in all, I’d say that mainly thanks to Rubén Fernández the first half of the climb wasn’t too anomalous, albeit lacking a consistent high pace, but then Fernández was burnt and people really didn’t ride any hard until 800m to go. Both the easy part and, even more important, the first km after that… were ridden *slower than ever*, I’d bet. I never saw as many people in the front group at that point in any of the previous ascents. And I never saw the forcing from the top riders starting as late (latest previous move was Cobo right before the flamme rouge). König and Valverde weren’t making a great rhythm at all during the whole penultimate km (Chaves up to 15″-20″ of advantage). That is my point. We’ve got an unfilled attempt of forcing by Movistar, which more or less lasted for the first half of the climb, although it lacked continuity (2′ fast- 3′ *slow*- 2′ fast, approximate times), but which clearly faded and failed from the halfway point on, allowing about 6 minutes of recovery before the final burst which was incredibly fast and took place along less than a km, with a total duration of 2’10”. And perhaps it’s a bit clearer, too, that when I say “slowly” (with original inverted commas and a following parenthesis), I mean that *for the best climbers in the world* going about a couple of km/h slower than any front group ever went during a given couple of kms means “recovery”, even if anyone of us would die keeping that pace! Probably also a lot of those 17-19 riders were on the limit hence totally blew up in the finale… but until then, they’ve been able to take advantage of the slipstream and the pacing. Yet, what was extreme for them (their threshold, their power ranges), wasn’t that hard for the top dogs. That’s cycling. I acknowledge I reported a wrong impression from the stage, when I wrote that the first 4,5 kms had been slow and the final 1500 m had been fast. Without watching it again I had “mentally” placed Quintana’s attack little after the start of the really hard part; moreover, the high number of riders in the front group had led me to suppose that the first part of the climb had been climbed a bit more slowly, in general, whereas it had very fast sectors separated by a significantly less intense phase. What was evidently “slow” was the second part of Fernández’s turn, and the Valverde-König moment. I dunno if anyone needs more figures, but that’s how the climb went.